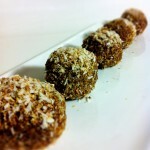 Today is Day 24 in “DAMY’s 28 Days of Healthy Holiday Recipes!” Here is my twist of the classic Peanut Butter Ball. This was always my favorite Christmas treat growing up. My Mom would have to fight us from eating them all before Christmas Eve. I wanted to take the old sugar and butter filled recipe and add natural sugars, protein, fiber and real, whole ingredients. I have great news, I succeeded! These are so good that these are the only 4 that were left to take pictures of due to some guy in this house who fell in love. I guess this is payback from what I used to do to my Mom. 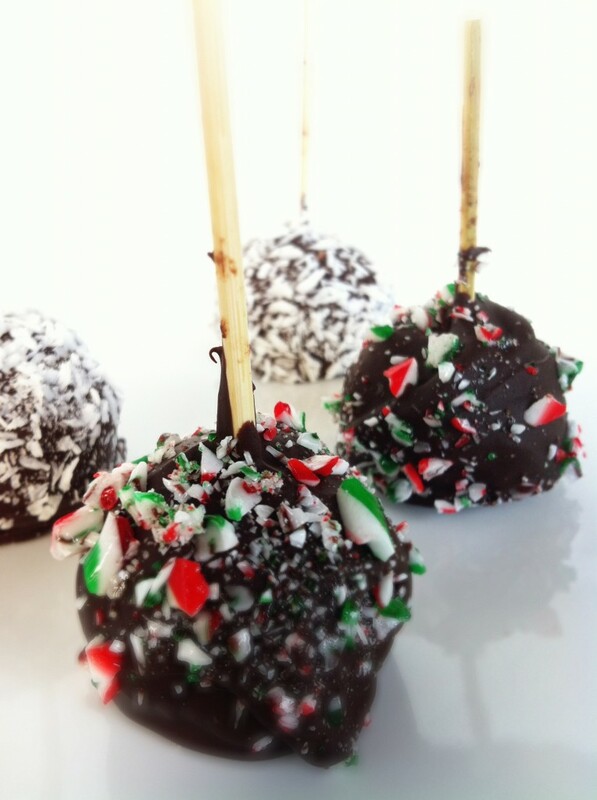 I made this batch with toppings and skewers to show how fun they could be dressed up for Holiday parties. 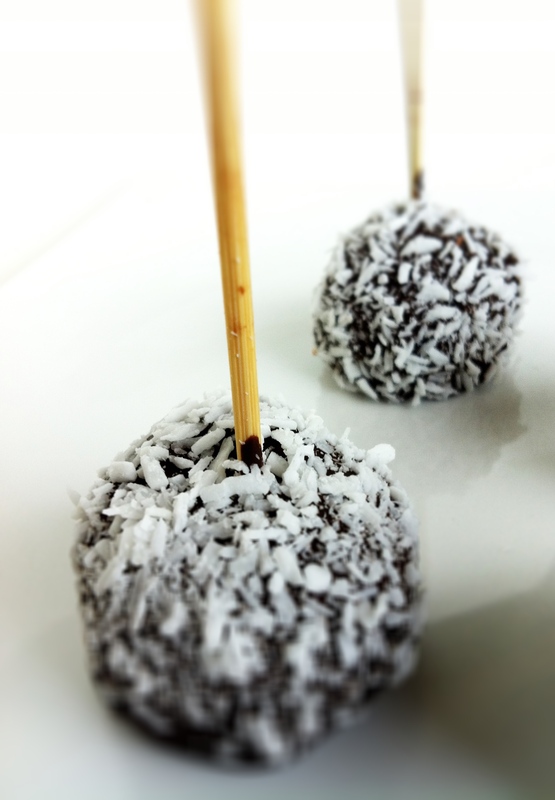 My personal favorite way to have them is plain with no topping and no bamboo skewer. How you decide to make them is up to you. I also included some other great topping ideas! 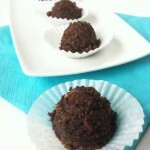 I hope you make this recipe – it is such a healthy way to enjoy what I believe to be a Holiday treat staple. 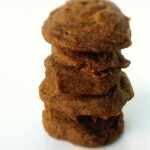 Add your two cups of dry roasted peanuts to your food processor and blend until it is peanut flour. Place balls on a plate. 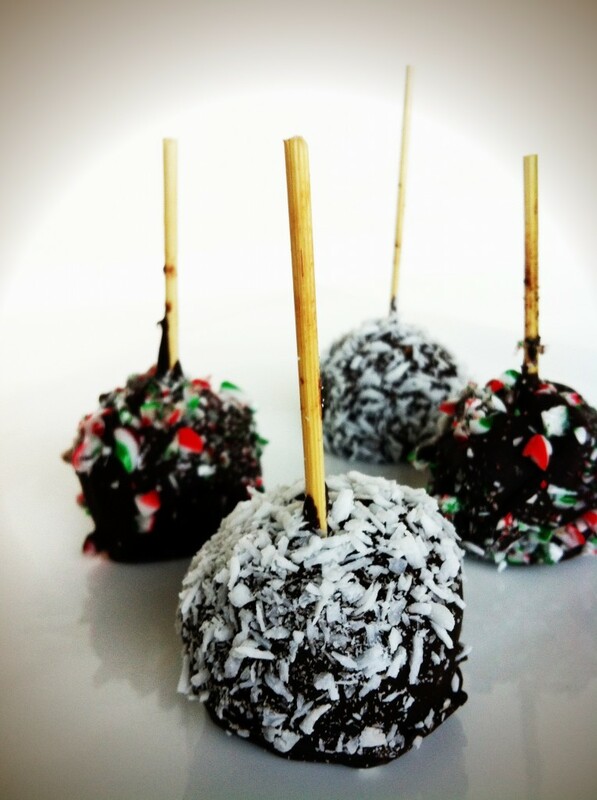 Using bamboo skewers (or 2 spoons) cover balls with melted chocolate individually. 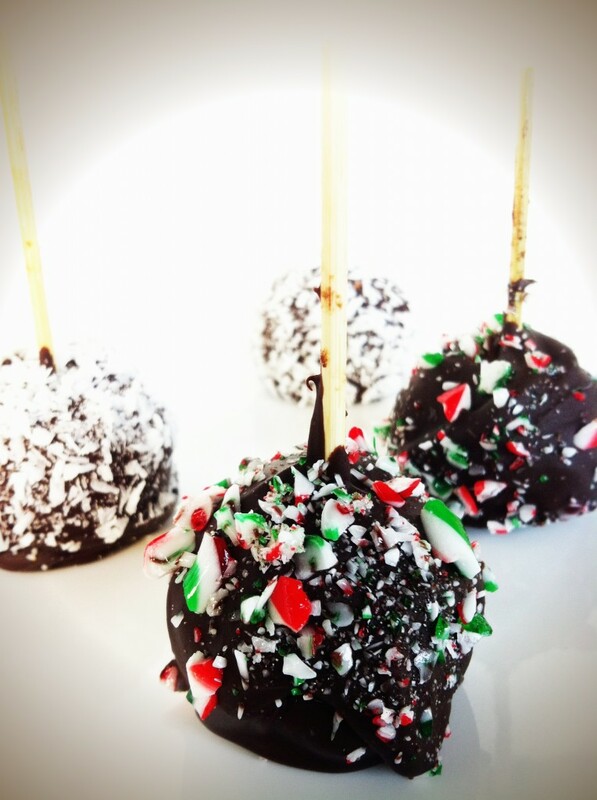 Place chocolate covered balls spaced out on a waxed paper covered plate (or tray for easy removal) and sprinkle with your topping of choice. Serve straight from the freezer on a Holiday inspired plate. 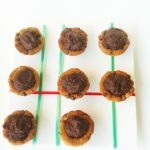 Tip – if you are making them for yourself to have a treat once a week, once they are frozen divide them up into snack sized ziplock bags – 2 per bag for a pre portion treat/snack! *Special Note – This dough tends to be quite sticky. Placing these in the fridge for 10-15 minutes before rolling will help. I like to use two metal spoons to do my rolling. 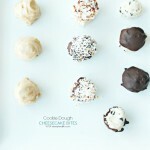 DAMY Members – can have this treat once a week – Serving is 2 cookie dough balls.